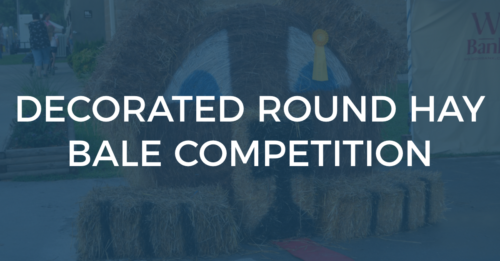 Entries for the Decorated Round Hay Bale Competition at the Smith County Fair will be accepted at 3:00 p.m. on Saturday, June 30, 2018. Entries will be judged on July 2. Pre-entry is required before June 25th. Contact the chairman, to pre-enter. 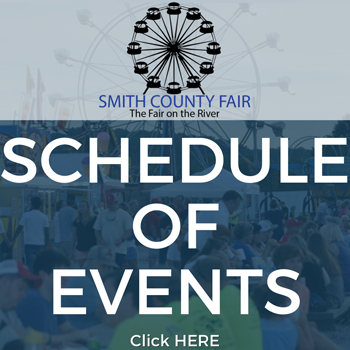 Open to any youth, adult, or group who are residents of Smith County. Hay bales should be on site by June 30th and decorated by July 2nd at 3 p.m. 2018. Entries will be judged on July 2nd. The bales should be decorated with a good clean, wholesome theme. No vulgar or suggestive decorations will be allowed – this includes people rolled up inside a bale with feet or head sticking out. Please call Chairman with any questions. Bales can be placed lying on their side or standing on end. For safety purposes, round bales will not be stacked on top of each other. Decorations should be weather and wind-proof. They should be checked and maintained daily. No commercial or political party signs of ANY KIND are allowed. Decorations and bales are to be removed by Monday, July 8th at 5p.m. For more information, contact Chairman Diann Bussell at (615)735-7637 or Co-Chairman Samantha Bussell at (615) 735-9193.